1) reducing the thatch layer in the lawn. 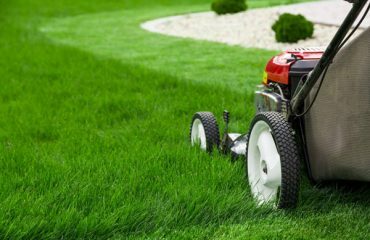 Either aerate or use a rake or power rake the lawn. 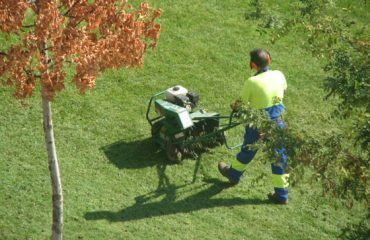 2) reduce your mowing height on the last cut of the season. 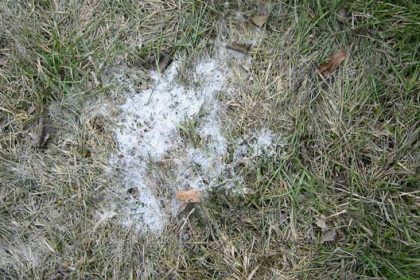 Long grass that lays over itself creates a favorable environment for snow mold. 3) Use a low percentage nitrogen (vs. high %N) to reduce any rapid top growth late in the season. 4) DO add or use higher potash (K) fertilizer on your final fertilizer application in the late fall. Potash/potassium/K is an essential element in the plant molecule is used to thicken cell walls of the turf grass plant “hardening” the plant and in essence making it more resistant to infection. 5) Apply a fungicide in late fall (Common name – PCNB) This practice is followed on most golf course greens in the north east mainly so conditions for play are improved in the spring and to prevent valuable bentgrass from being replaced with a more invasive annual bluegrass or Poa Annua on putting serfaces. The roots of the plant are usually not killed but the upper sheaths are. 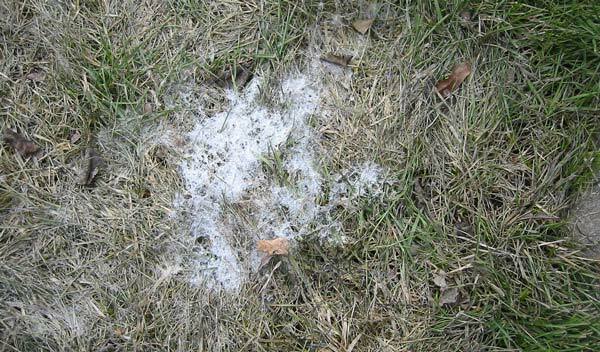 It is best to rake the dead matted grass out and fertilize and even over-seed if neccesary.